Many first noticed Marlins Man among the Kansas City Royals blue a year ago, making his presence known in national HD TV while glowing in bright orange. Social media greeted the sight as you’d expect…with the anger and burning ire of a thousand suns. I didn’t get it at first either, but then Marlins Man grew on me and my level of admiration grew with every snarky Tweet and comment directed his way. Laurence Leavy, a law firm owner that specializes in labor law, used to own season tickets to multiple South Florida teams, including the Marlins (duh), Dolphins, Heat, and Miami Hurricanes. He told the Sun-Sentinel last week that he would spend $200,000 to $300,000 on season tickets for his clients and that it really helped his practice, especially in the 90’s. Unfortunately the teams around Miami, outside of the Miami Heat, all forgot how to win and Levy couldn’t even give tickets away. Then Leavy was diagnosed with liver cancer. It turned out to be a large blood mass in his liver and kidney stones, but the health scare made him reexamine his life. Rather than go to the local sporting events for work, he decided he would go to bigger ones across the the country…for fun. Instead of taking clients to these games, Marlins Man wanted to take sports fans who would truly appreciate the experience with him. Leavy will invite friends and total strangers on Facebook to go to games and events with him for free. It could be the Stanley Cup, a Red Sox-Yankees game at Fenway Park, the Kentucky Derby, or Game 3 of the NLDS at Wrigley Field. The only thing Leavy asks of his guests and fellow sports fans that they “pay it forward” by performing an act of kindness for someone else in need. Once they prove they have done so, Marlins Man then sends them a t-shirt with his face on it and in bold print “Pay It Forward”. 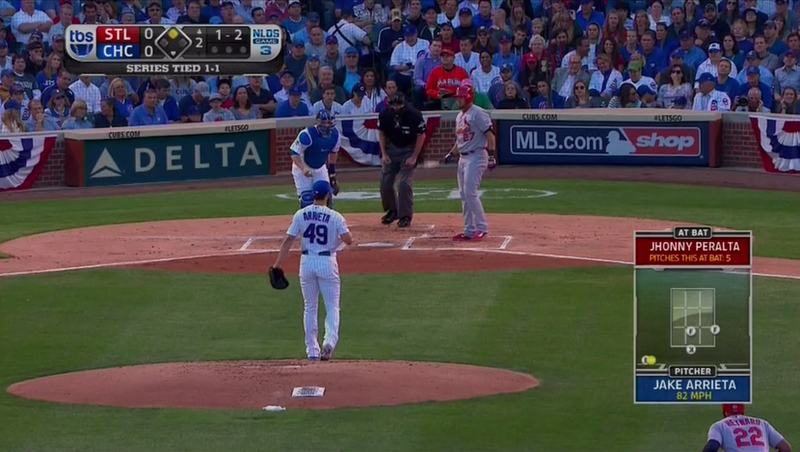 I used to think Marlins Man was simply doing what every sports fan dreamt of. He was attending the biggest games in the world, witnessing the coolest moments from the best seats, because he could. Shaquille O’Neal interviewed him during the NBA playoffs recently asking “Why do you do it?” Marlins Man answered exactly how I would have, “Why not?”. He also gets noticed, obviously. If his favorite teams weren’t going to be represented in the playoffs, he might as well do it for them. Learning that Marlins Man is using his celebrity for more than himself makes the whole thing incredibly cooler to me. It makes me want to share that part of his story to those who probably don’t know it. When journalists ask him about the people he helped, Leavy will reference hundreds of emails and voicemails on his phone from people he took to games, telling their stories of good deeds they performed as a result of his. It’s not an ongoing vacation, as one would assume (*raises hand*). Leavy works billable hours from the hotel rooms he stays in and if you notice he’s on his phone during games, he’s running his law firm of 37 employees from the front row. …and paying it forward just for knowing about it. For more, follow along on Facebook and Twitter! I think he gonna make a Guinness World Record by attending the games. Always wearing his impossible-to-miss outfit, he has become arguably the nation’s most recognizable fan. No doubt he is spending tons on money for that. Leavy has been buying the best seats to major sporting events for years. By his count, he’s gone to 27 Super Bowls, more than 200 NBA playoff games, and at least 85 World Series games, not to mention an unknown number of Triple Crown horse races. Leavy says he uses visit flyer miles to bound around from city to city and points for hotel bedrooms and let cars. All he has to buy is a ticket yet those are costly on their own. Last year, he was spotted wearing his Orange Marlins apparel in San Francisco for the World Series. The following day he drove out to the Golden Gate Bridge to take some pictures of the landmark when he was spotted by a couple of park rangers, who drove up in a truck to shoo him away from a dangerous cliff. This guy is definitely a baseball freak.